Online privacy is as important as your privacy in real life. Since we spend so much time online, our friends can tell almost everything about our personal lives just by following us on social media. For instance, it’s possible to know where we are, what we eat, with whom we spend time, and so on. As a result, our online life is just a duplicated version of the real thing. For this reason, the more personal information you make available online, the more vulnerable you become. A prime example of this is the recent case with Facebook and Cambridge Analytica in 2018. 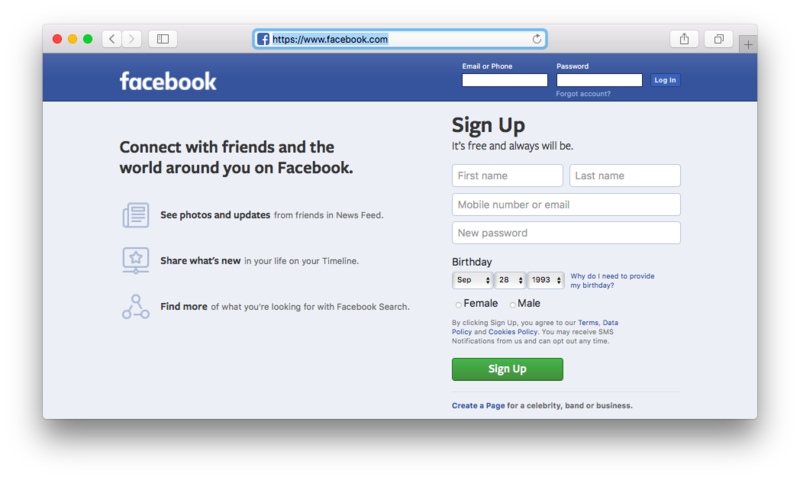 As you know, almost 300,000 Facebook users took the psychological test via the “thisisyourdigitallife” app in 2013. This application had access to the personal data of not only of those who passed the test but also to some data of their Facebook friends. According to the final analysis, data from 87 million Facebook profiles became available to Cambridge Analytica. Even worse, Cambridge Analytica used Facebook user’s personal data without permission, possibly affecting 2016 election results in the USA. Certainly, it is unfair that social media would use your personal data against you. As you can see, your sensitive personal information may be used without your permission and can be harmful to you. In this article, we would like to share with you five reasons why you should take care of your online privacy and how to protect your privacy online. 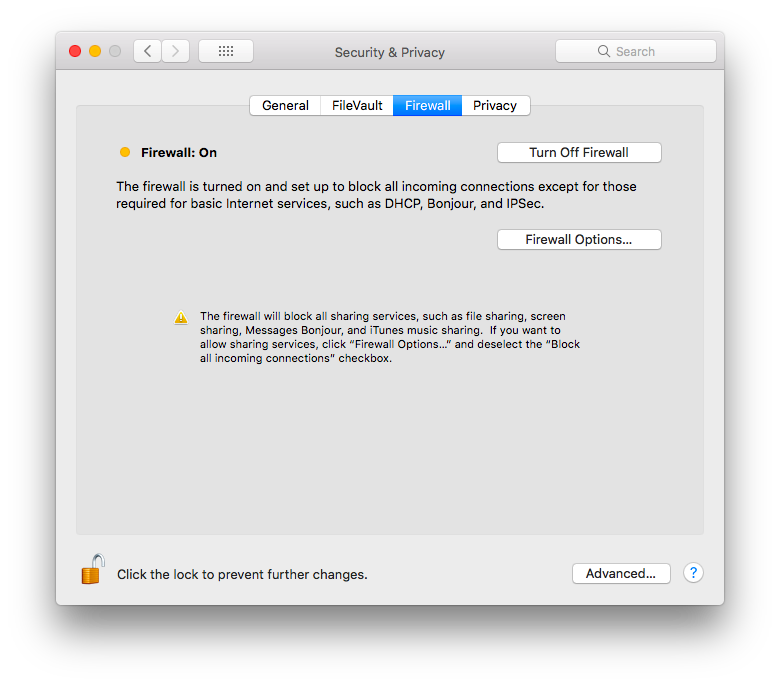 If you are asked to disable or change your computer’s firewall settings for the torrent software, this may put you at risk. Using a file sharing program may give the third-parties and hackers access to your personal data. A virus, malware or spyware can be masked as a popular song or a movie torrent file. For instance, a funvideo.mp4.exe file looks fishy because instead of the common extension for video files (.mp4), it has an .exe extension. Use a trusted P2P community with strict connection rules and standards for torrents. Use a file sharing application only to manage which files to upload and share. Files with your sensitive personal information should not be uploaded. Make sure that your firewall is enabled. If you do not have one, download a firewall from the official website and activate it. Download software from trusted and official websites only. Check carefully the type, name and ratio of file you want to download. Use a Virtual Private Network (VPN) service to create a secure tunnel for secure file sharing. At airports, hotels, coffee shops and so on, we intuitively connect to public Wi-Fi. Unfortunately, the accessibility to the public Wi-Fi makes it not only the easiest way to connect the Internet, but also creates an insecure connection. If you have access to public Wi-Fi, anyone else can easily get it, including a hacker. A security protocol which is widely used to protect the majority of Wi-Fi hotspots is the WPA2 (Wi-Fi Protected Access 2) protocol. It has been used since 2004 and has become less secure. Last year a Belgian security expert cracked the WPA2 protocol and published its research. So, when you join a public Wi-Fi hotspot, there is a risk that all your data may become public. When you sign into unsecure websites, those starting with http:// as opposed to https://, your passwords and data are easy prey for hackers. The attackers can also capture your emails, messages, files you share, and even voice communication when you share the same Wi-Fi hotspot. Obviously, your credentials and bank account details are the most desireable for hackers. When you both use the same Wi-Fi hotspot, you can easily share this important information with a hacker without giving any permission. 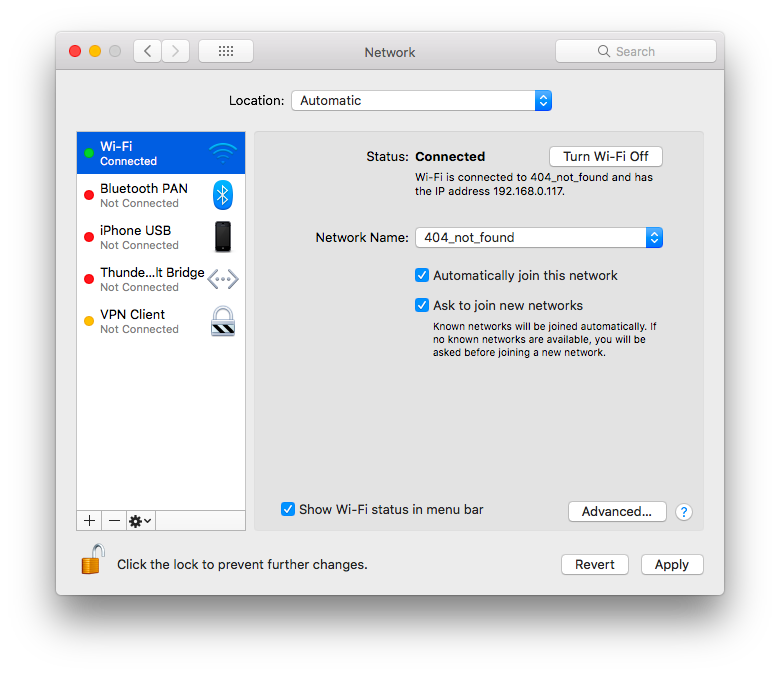 Enable your device to connect automatically only to reliable Wi-Fi networks. Ask staff for a password to join a Wi-Fi hotspot in a safer public place. Do not use sensitive personal identification information, like names, credentials, bank account details, and so on while using public Wi-Fi. Use websites, that utilize the Transport Layer Security (TLS) encryption. They start with the https://. With this encryption, it is harder to attack and track you on these websites. If your torrent client, mail client and other apps that transfer your data do not use any encryption, avoid using them. Anyway, it is better to transfer any data within a secure Wi-Fi hotspot, not a public one. Use a VPN service, which encrypts all your data while using the Internet and makes it unclear for third parties. If you have never thought about the data transmission process from your device to the Internet, it is okay. However, you should know that all your data goes from your device to your Internet Service Provider (ISP) and then to the net. The ISP’s servers collect your browser history. If you look at the history of your browser, you will be impressed by how much information it stores about you, your behavior, your habits and so on. Some ISPs may sell your data as useful information for advertisers or analytical companies. Use the incognito mode in your browser. Use a VPN service, which encrypts your information and makes it illegible for your ISP and third parties. You click on the link in the message and a malicious file such as a virus trojan or malware starts to download automatically. You have decided to accept a really good deal and have made an advance payment to the fraudster instead of a proven business. Read carefully the email, and do not click any link immediately. Think first about: “Do you know the sender?”, “Is the topic related to you?”, “Is the spelling and grammar okay?”, “Is there something strange in this email?”, and so on. If you want to get a special deal or purchase something, it is always a good idea to go to the official website of the company or event. There is always information about such promotions and partners who can also provide this service. Use the SPAM filter, which detects viruses, non-existent senders, and so on. Employ an antivirus software to protect your device. Check the link address from suspicious emails, as it might look like a real link but instead link to a phishing website. 5. Safe Online Shopping – Is It Possible? There are websites that have a similar domain name, nearly identical to the popular brand websites. They can differ in one character, have some extra words, duplicate the official name, or the address may end with .org or .net instead of .com. For instance, www.airmaxclearance.us is obviously not an official site of the trendy brand name. You will not get what you expected to find here. Special deals with very low prices, which seem too good to be true, should alert you. As you know, “There ain’t no such thing as a free lunch.” Likely, you will pay for a poor quality or non-existent item. If you are in the checkout process and about to choose a payment method, be very cautious if you are asked to pay via bank transfer. In the event that you have paid for a poor quality item or non-existent one by a credit card, you have some rights to request a refund. But there is a little chance that your bank transfer will be refunded. Only make purchases on well-known websites. Major brands monitor the safety of their websites and users, and provide a secure purchasing method. Use secure websites only. They start with https:// at the beginning of the URL. Their safety is ensured through the use of SSL (Secure Sockets Layer), which encrypts any information that is spread on the Internet. Hence, your login and payment details are safe. Using a credit card is preferable to a debit card. Most credit card processors use two-factor authentication, which is harder to track. Also, you can use secure payment services like PayPal. Such payment services serve as a middleman between you and the seller, and your credit card detail is not available to the retailer. If you have decided to create accounts on social media and share as much information as you wish, it is your right. Nevertheless, your web history, emails, personal files and everything you do online on your device has to be protected. When you need to provide your personal information and payment details, use trusted official websites only. These websites start with https:// at the front of the URL. If you have to use public Wi-Fi, do not provide your credentials, credit card details or passwords. Carefully check what and where are you going to buy online. Set up your torrent client and firewall before file sharing. Carefully read your emails and do not click every link they offer to you. It is always a good idea to use a VPN service while online. Thanks to encryption and security protocols, a VPN protects all your data. We recommend trying one of the trusted VPN services – VPN Client. It costs only $39.99 per year, a small fee for your online safety.